Take a trip to your local market to stock up on fresh fruit and vegetables to improve your mental health and happiness. Fresh fruit and veggies contain important carbohydrates, B Vitamins and antioxidants and we can’t expect tablets to provide us with the same results. Recent research from Australia and England measured 12,000 people’s happiness and wellbeing. The research focused on whether there were improvements in people’s wellbeing after eating more fruit and vegetables. People were asked a few questions about how often they ate fruit and vegetables and how much they ate. Two years later they were asked the same questions. The outcome was positive for those who had increased the amount of fruit and vegetables, resulting in increased happiness and wellbeing. Why am I writing about food and happiness? We know mental illness is common. Around 20 per cent of Australians experience a mental illness in any year. Teenagers and young adults (18 to 24 year olds) are most likely to show signs of mental illness of any age group. If we can set up good eating habits now for our children, then this could help reduce and improve their happiness, and maybe improve their mental health. Of course food is just one part of improving our mental health and happiness. There are many, many factors including genetics and where we live, for example, that also impact on our happiness. Exercise, getting out in the sunshine, fresh air and being with supportive friends, are all healthy strategies that we can encourage our children to do. In Australia we have the ‘Go for 2 fruit and 5 veg’ campaign which aims to increase awareness of the need to eat more fruit and vegetables. The campaign also offers useful tips and strategies to increase the amount of fruit and vegetables we eat. 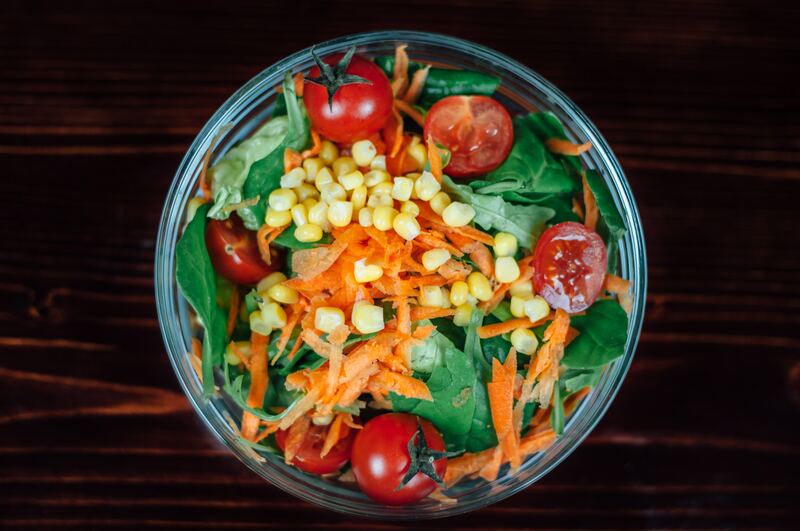 Fruits and vegetables with a low glycemic index release glucose in a slow and steady fashion which may help to regulate our moods and our happiness. We know that when we eat fruits and vegetables, our body releases insulin and causes the carbohydrate to be broken down into glucose. Our brain is then triggered to make important neurotransmitters such as serotonin, which can affect our mood. 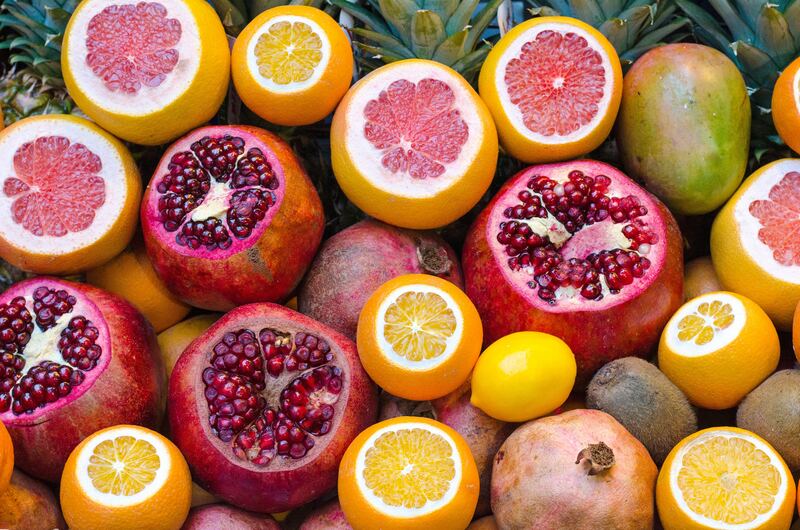 Fruits and vegetables with a low glycemic index release glucose in a slow and steady fashion which may help to regulate our moods and our happiness. Unlike highly processed food (think: lollies, cake, biscuits) which give that sugar hit that we can all relate to (think: kids just came home from a birthday party) usually results in a pretty big crash in mood. So, slow and steady wins the race. Fruits and vegetables are great sources of B vitamins, including folate and vitamin B6. These two vitamins are again important in our brains making serotonin and other chemicals that affect mood. Low levels of B vitamins may be linked to depression. As an aside, Vitamin B12 is also an important B group vitamin in helping making serotonin and other neurotransmitters. Vitamin B12 is not usually found in fruits and vegetables, but instead in fish, lean meat, eggs and dairy – so all food groups are important. Take a trip to your fruit and vegetable market and stock up. Even better take your children with you and let them choose some of the fruits and vegetables. Research looking at antioxidant content in fruits and vegetables has increased over the last few decades. Vitamins C and E and other components such as phytochemicals, are all found in fruits and vegetables. It is thought that these types of antioxidants protect our body cells against damage and they may also reduce body inflammation, which has been linked to poor mental health. I would like to emphasise the importance of eating fresh (or frozen, tinned) fruit and vegetables and not just taking a few multivitamins and antioxidant tablets. Not only are fruits and vegetables cheaper, but more and more the research is showing the importance of eating the whole food and we can’t just isolate certain components of food into a tablet and expect the same results. So, take a trip to your fruit and vegetable market and stock up. Even better take your children with you and let them choose some of the fruits and vegetables. 1. Alternate vegetables and chicken onto skewers, place in shallow dish. 2. Combine coriander, cumin, curry powder, olive oil, brown sugar and fish sauce in bowl. Pour over skewers. Cover, refrigerate skewers for at least one hour. 3. Grill skewers until cooked. Serve with steamed rice. Kate runs www.dietitianonline.com.au and is mum to three young children. Kate has translated her love of all things online to providing expert nutrition coaching online – it works well for anyone who is busy! Kate’s passion lies in making healthy eating simple and enjoyable. Recipes for quick and easy lunchboxes! 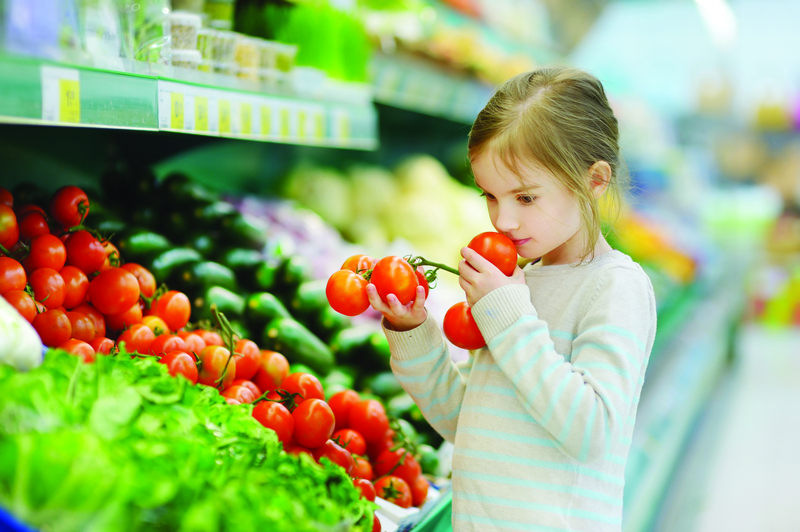 Tips and Tricks to Get Your Kids to Eat More Fruit and Veggies! It is easy to overdo food portions, so rather than avoiding the food, know your portions. Australia’s top nutritionist identifies superfoods we enjoy in many foods we order in. Fostering a preference for healthy foods through parental attitudes. We’ve compiled a rundown of the best family-friendly dining options in Sydney.